driven four to the floor stompers yield to velvety acoustic guitar and spacious instrumentals laden with sampled americana. landscapes. Undaunted, meloncholic drums and timid textures are reminicent of cloudDEAD or Tujiko Noriko, sitting atop an eclectic songwriting sensibility that brings The Microphones to mind. and melodica. All the while keeping an intense and engaging dynamic going, he weaves his songs into a captivating near-non-stop medley that is ever-changing and unique, no two shows being quite the same. He also runs Circle Into Square, an artist run label and magazine, the entire site and label created from scratch as a means for artists to directly release their music and artwork with cutting edge resources, and to help adapt to the constantly changing music industry. 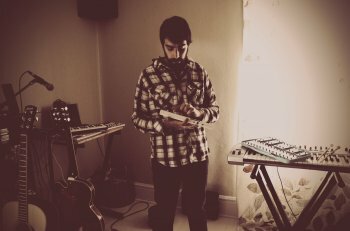 Circle Into Square´s roster includes artists like Boy In Static, ID & Sleeper, Skating Club, BRE´R, The Harvey Girls, Helios, Big Spider’s Back, and cars & trains. Pitchfork, The Stranger, The Seattle Times and a plethora of online zines and blogs. Along with his recording projects, Big Spider´s Back has also collaborated with various video artists, lending his music to installations and his own live performances. 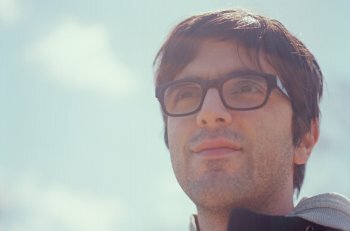 His debut album, “Memory Man,” is out now on Circle Into Square. The name of a band can say so much about its sound and the personalities that create it. There’s no better example of this than with the Vienna-based group known as theclosing. beguiling and original electronic music that mixes analog and digital sources, including self-made samples, found sounds, and field recordings. Just as their three personalities and talents combine towards the singular goal of creating music and art that evades easy genre classification, so too has theclosing honed in their efforts to bring to life their self-titled record. The group’s debut release for Portland independent label Circle Into Square, their self-titled record embraces a wide variety of influences. The sputtering pulse of modern hip-hop comes out in tracks like “rrroar”; “nyejreska” takes on slow simmer of a steamy downtempo IDM come on; ambient roots start to show on the pinging album closer “m4”. The songs may come from different parts of the band’s collective brain, but they connect perfectly on record. It’s even more surprising how well things lock together considering their loose working methods. That kind of theorizing about creation should be familiar to anyone who, like the members of theclosing, went to art school. 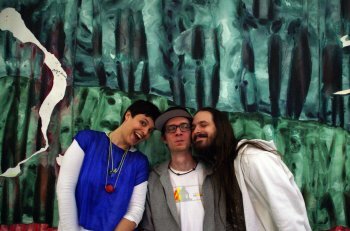 Hengl, Lehner, and Auer all met while studying at the Academy of Fine Arts in Vienna, and all three work on various art projects outside of the fold of the band, including short film work and computerized visual art.